You can also see search shopping interest using Trends. Finding out what people are searching for in real time is a trivial matter these days, thanks to Google Trends. Online since 2015, the service is useful for discovering what the world is paying attention to, like why Donald Trump was elected last November or which Halloween costume will be the most played out. Heck, Mac users can even get a screensaver to visualize searches as they happen. Now Google is exposing even more of its real-time data to include news, images, video and even shopping results in your topical search area. The example Google gives is a search for Taylor Swift. When you type that search term in, you'll want to pay attention to the subheadings in the search results that drop down; "American singer-songwriter" is what you're looking for. When you click on that search, you'll get a page that shows the search interest on that term in the US for the past week. If you want to dig past web-only search interest, click on the button at the top right (which defaults to Web Search) and choose Image Search, News Search, Google Shopping or YouTube Search. 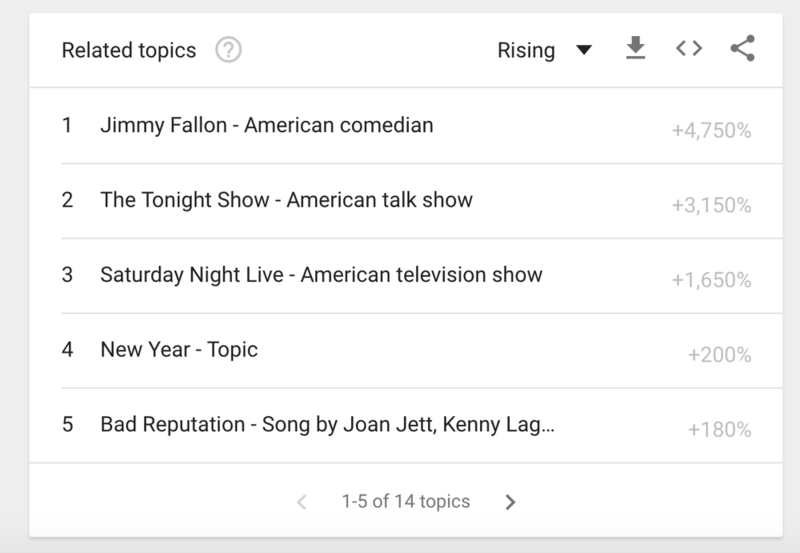 In addition to finding out the search spikes around specific events and videos, for example, you can also see where search interest is strongest for your chosen topic and platform.